Download Jazz Jackrabbit for free and take control of the trigger-happy Jazz Jackrabbit in many crazy levels. The classic 2D platform game Jazz Jackrabbit was released in 1994 and was developed by Epic MegaGames (today Epic Games ). It was the first game in what would end up being a trilogy. 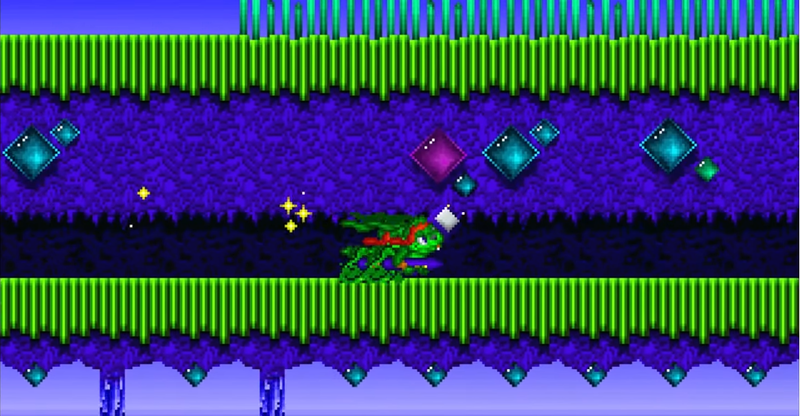 The game is a parody of the Greek author Æsop and his tale of "The Turtle and the Haren". In Jazz Jackrabbit's world there is thus great enmity between hares and turtles. The evil turtle's leader, Devan Shell, kidnapped the princess, Eva Earlong, from the rabbit planet Carrotus, and the Jazz Jackrabbit gets the job of getting her back home safely. But to find Eva Earlong, Jazz must travel to all the planets Devan Shell has destroyed to find tracks that can lead him to her location. The Jazz Jackrabbit is a game for you to endure a lot of action when it comes to gaming. Unlike the Super Mario franchise, you do not jump at their enemies to turn them to the ground. No, on the other hand, you are equipped with nothing less than a large rifle. When you plow through the various episodes in the game, you feel a bit like a green rabbit Rambo, while the countless enemies fall at your feet. The Jazz Jackrabbit is also a rabbit with incredible speed, so the longer you run in the game, the faster you are and the higher you can jump. It is largely unique to the franchise. The game also features a wide variety of items that you can pick up to either improve your score or become even stronger. For example, it can be a force shield that gives you extra life, your own bird, that helps you shut down your enemies and even invulnerability for a very short period of time. So there are many things that give the game character, and generally it makes fun exploring the different levels / episodes to see which items you can find. One of the most fun and entertaining features of the Jazz Jackrabbit is the ability to make the game more challenging to yourself. The game exists in 4 different levels of difficulty: Easy, Medium, Hard and Turbo. Each difficulty comes with its very own challenges: the number of lives and how quickly you have to complete the courses. Easy is a great place to start if you have to get the game and get to know it. 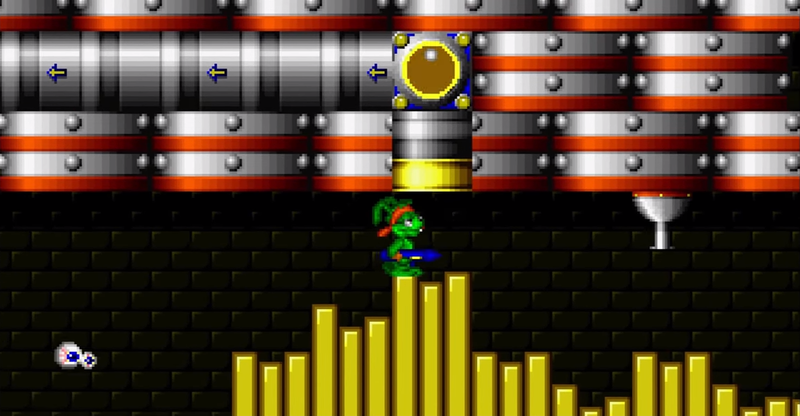 At this level of difficulty, one has the largest base amount of life (five), and one can take the time to complete the levels that one has ten minutes to complete. The higher the degree of difficulty, the more these factors diminish. If you are really brave, you can venture out into the difficulty level Turbo, where you only have 3 lives and must complete your course in just four minutes. Here you have to know the game in and out, to be with. Epic MegaGames had from the outset set out to make a game that rewards you for exploring every aspect of its many facades. With its rich selection of courses and levels, there is always a bonus level included. Therefore, you are not punished for spending your time exploring the various planets you land on, and there is always something new and exciting to try if you give time to run around and have fun. It can either come in fun bonus levels where you are rewarded with a lot of items and extra points, or it can be a secret boss to fight. At the same time, if you take the time to pick up the maximum number of points before completing the course, another bonus level is unlocked, so there are actually two bonus levels per lane. This gives you reason to return to the tracks you have already done as there is more to be achieved. The more time you spend on the game, the more experiences you will have and the more you will be rewarded for your efforts. As mentioned earlier, Jazz Jackrabbit builds on Æsop's story about the Turtle and the Haren. But here's the story spiced up with many twists who can't get you other than laughing. There must be some creativity to mergerre an ancient Greek tale with Rambo and space exploration. It's a rich universe that offers many nuances depending on which planet you come to, and by taking advantage of the classic plot of saving a princess, the great reward always awaits on the horizon. The Jazz Jackrabbit is a delight for the eye to play because of its many nuances. Every planet you come up with has its very own theme that gives your eyes something new to turn to every time you progress in history. Therefore, one can always look forward to new places. The game is in the classic 2D style, so it's limited how much the world can be redesigned. But it's a barrier that the Jazz Jackrabbit didn't have trouble overcoming. Everywhere in the background there is always something different depending on which planet you are on. In the beginning you are on a quite lush and beautiful planet. It's the gentle start that fills you up. The longer you get, the more cruel it gets. The design is thus dynamic in relation to the story. If you have beaten through Jazz Jackrabbit's many levels, and feel it is time for something new, then the classic platformer can play by developer Crystal Dynamics, Pandemonium! from 1996, be a good bid. Pandemonium! Also offers all the things that made the Jazz Jackrabbit a hit. A fun and unique story with interesting gameplay. Pandemonium! can be downloaded for free here. 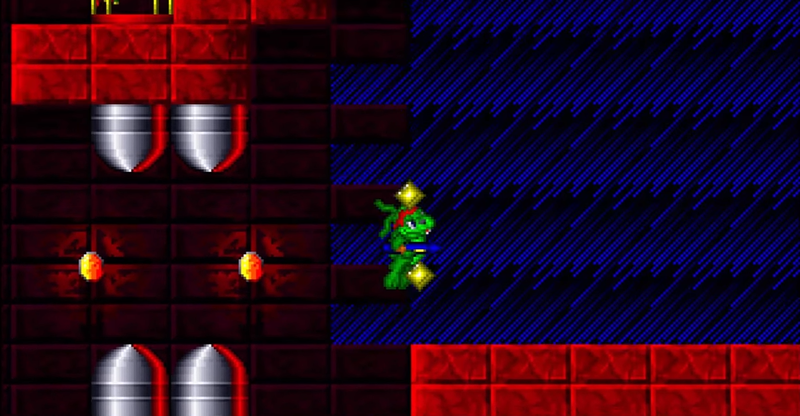 Jazz Jackrabbit is definitely a game you have to try if you have fallen in love with the older games of the 90s. With a great fun story and the ingenious gameplay philosophy that rewards you for having fun, it would be a shame not to try it. 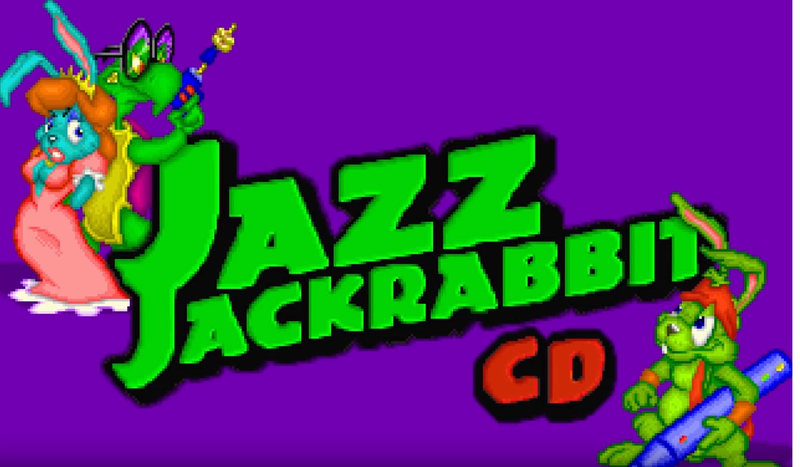 Before the Jazz Jackrabbit will play on your computer, you have to use DOSBox. Read more about DOSBox here. Find Jazz Jackrabbit, mark it and choose "Uninstall"
Should Jazz Jackrabbit has been damaged or corrupted and thereby difficult to remove we can recommend you finding help to uninstall it here.